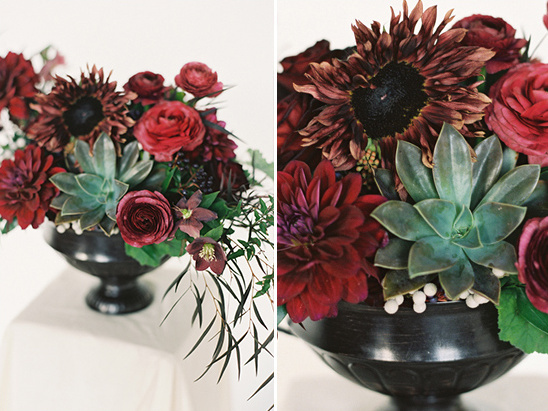 Missing Fall and all of it’s rich colors, Sweet Marie Design styled two bouquets and a centerpiece inspired by the season, hoping to show brides that just because your wedding is in winter or spring you still have choices. 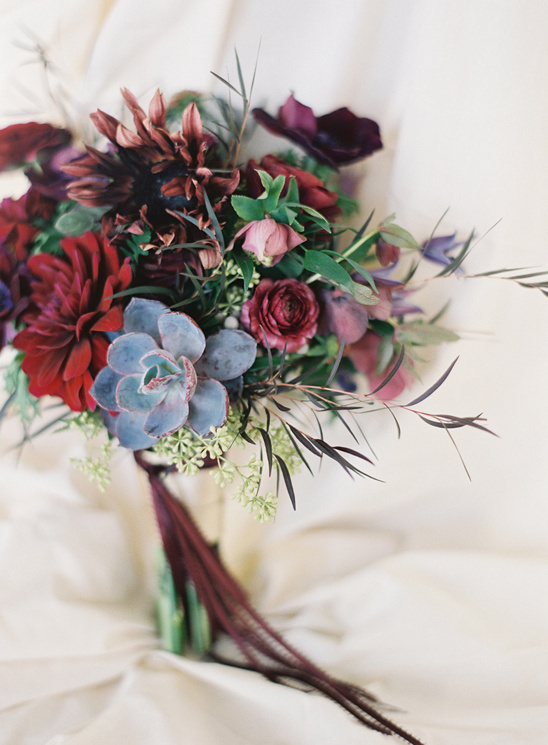 Often it’s difficult as a consumer to look past the spring colors and see all of the other beautiful options available, but they are out there, and here are some lovely examples for your wedding day all captured beautifully by Bryce Covey. 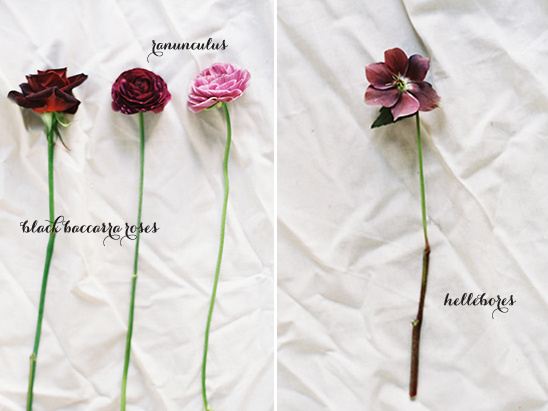 The color pallet focused on deep, dark colors of burgundy wine tones, purples, and rich greens. 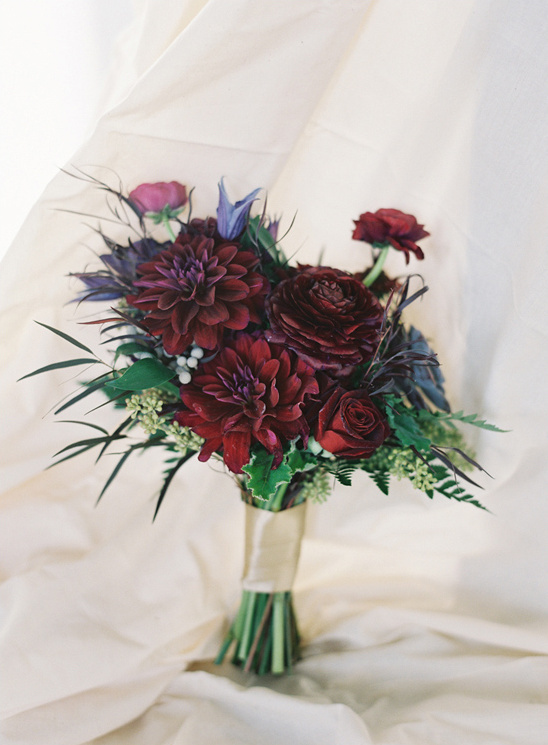 Each piece was a mix of hybrid black baccarra roses, burgundy dahlias, wine colored anenomes, and black sunflowers. 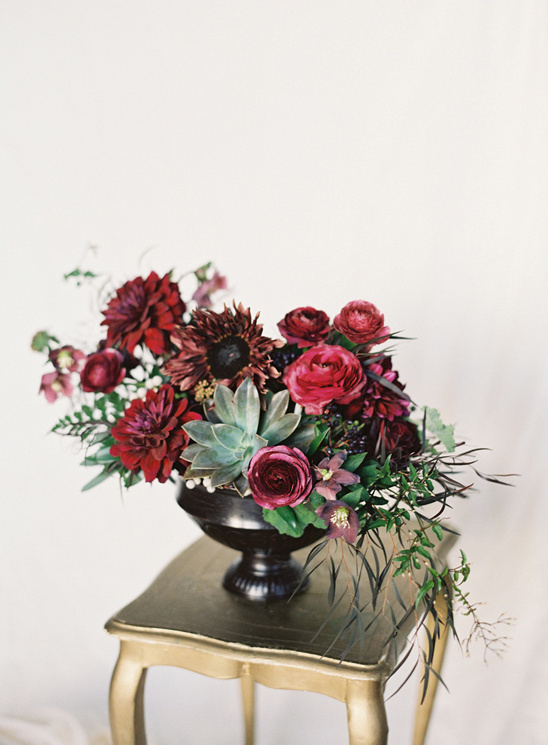 Accented with playful purple ranunculus, hellebores, clematis, and burgundy scabiosa buds. 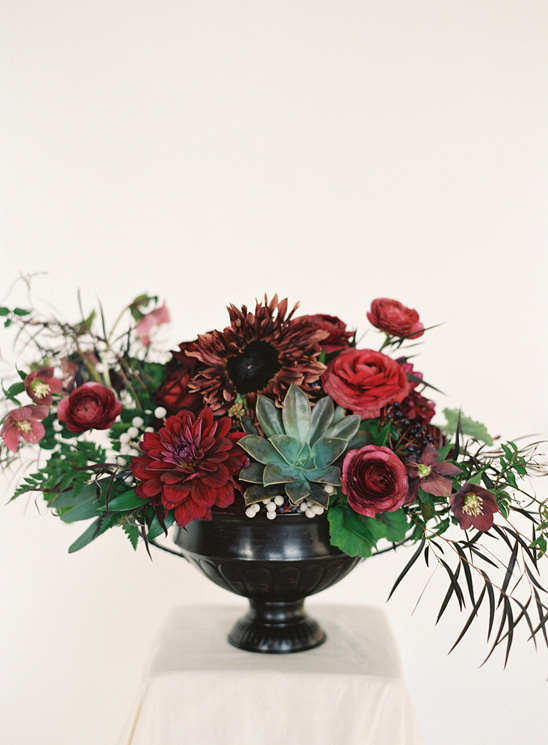 Then finished with chocolate Geranium, a succulent, and several types of Eucalyptus to add a whimsical feel. 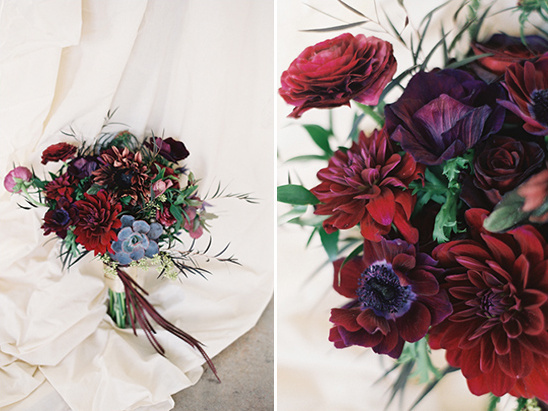 You can see so many more dark wedding flower ideas in the full gallery here. 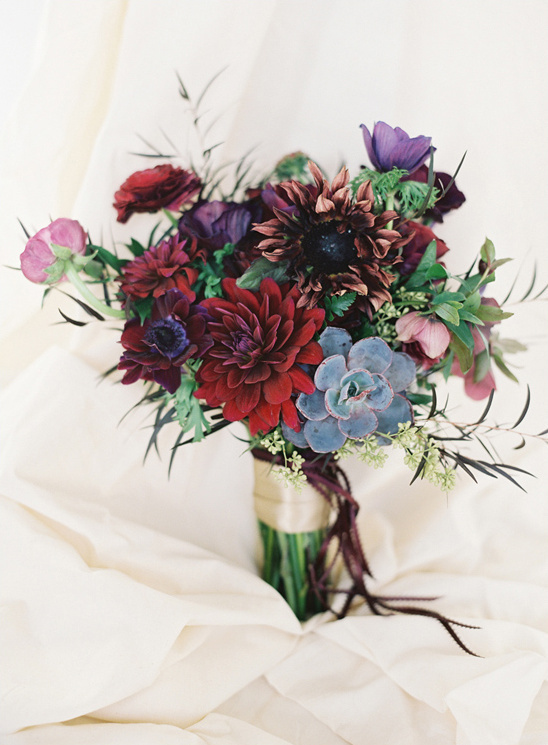 Flowers used to arrange these stunning dark wedding floral were: Roses, Dahlias, Anemones, Black Sunflowers, Ranunculus, Hellebores, Clematis, Scabiosa Buds, Chocolate Geranium, Succulents and Eucalyptus. 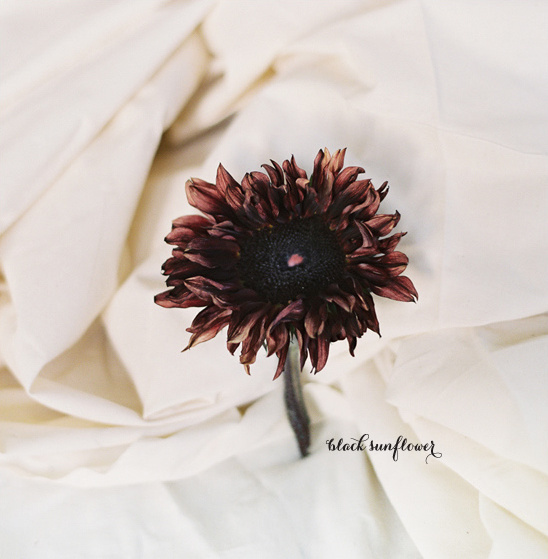 We are beside ourselves on the overall dramatic and striking vibe of these dark floral arrangements. They would blend perfectly into any wedding reception from an outdoorsy rustic and relaxed event to an elegant and glamorous evening affair. 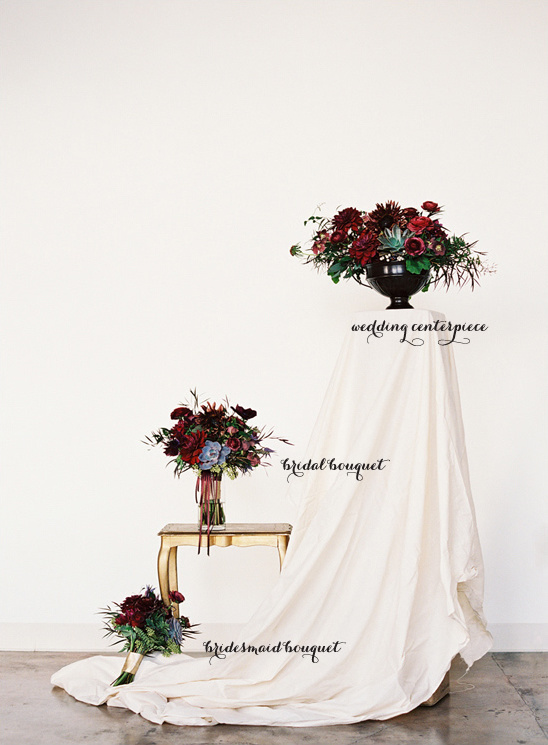 We can see all of these wedding florals paired with Vera Wang Spring Bridal Collection 2013.